Among the most tiresome of all observations made about the royal wedding was that it represented some kind of triumph of social mobility. The new Duchess of Cambridge is the great-great-granddaughter of a coalminer, runs this story, and her mother worked as an air hostess. Never mind that she also went to Marlborough College. Such cant brings to mind a more potent example of social mobility ? and of that mobility being put to significant purpose. 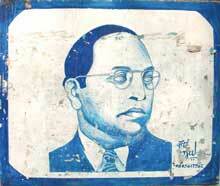 Bhimrao Ramji Ambedkar was born in 1891, an untouchable in an India run by the British ? that is to say a subaltern twice over, subjugated by an imperial government and by high-caste Indians. He died in 1956, with doctorates from Columbia University and the LSE. Most importantly, he will be remembered as the emancipator of other untouchables and the jurist in charge of drafting the constitution of the Indian republic. Ambedkar fought for a free India, and for the freedom of all castes within that state. He sought advancement not just for himself, nor for those like him, but also for Brahmins, Muslims, Sikhs and Buddhists. His time at the bar in London and at the LSE, but most of all his sterling example, surely make him more than deserving of public memorial here. “How long shall we continue to deny equality in our social and economic life?” asked Ambedkar. “If we continue to deny it for long, we will do so only by putting our political democracy in peril.” His message, intended for 20th-century India, is just as relevant for 21st-century Britain.